READER – you cannot be such a stranger in our Israel that it should be necessary for me to acquaint you with the first sowing and spreading of these tares in the field of the church, much less to declare what divisions and thoughts of heart, and what open bitter contentions have been stirred up among us, leading to the loss of ecclesiastical peace. There are only a few things relating to my particular endeavor that I would willingly forewarn you about: First, never were so many prodigious errors introduced into a church, with so high a hand and so little opposition, as these have been introduced into ours, since the nation of Christians was known in the world. I take the chief cause to be what Sylvius gave as to why more maintained that the pope is above the council, than maintained that the council is above the pope: because popes awarded archbishoprics, bishoprics, etc. ; but the councils sued "in forma pauperis," and, therefore, they could scarcely get an advocate to plead their cause. 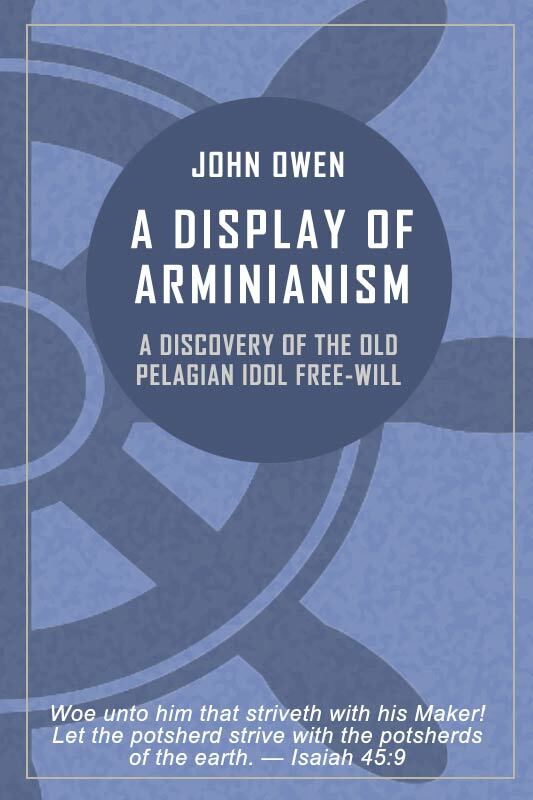 The fates of our church having lately devolved the government of it into the hands of men tainted with this poison, Arminianism became backed with the powerful arguments of praise and preferment, and quickly prevailed to beat poor naked Truth into a corner. It is high time, then, for all the lovers of the old way to oppose this innovation, which is prevailing by such unworthy means, before our breach grows as great as the sea, and there is none to heal it. My intention in this weak endeavor (which is only the undigested result of a few broken hours and too many causes in these furious malignant days, continually interrupting the course of my studies), is but to stir up those who, having more leisure and greater abilities, will not as yet move a finger to help vindicate the oppressed truth. First, I have not observed the same method in handling each particular controversy, but followed several ways that seemed most convenient to clarify the truth and reveal their heresies. Secondly, I have not touched some of their errors at all – such as those concerning universal grace, justification, and the final apostasy of true believers – because they did not come within the compass of my proposed method, as you may see in chapter one (where you have the sum of the whole discourse). Thirdly, I have given some instances of their opposition to the received doctrine of the Church of England contained in various of the Thirty-nine Articles. I wish this did not yield just cause for further complaint against the iniquity of those times into which we had lately fallen! Had a poor Puritan offended against half so many canons as they opposed these articles, he would have forfeited his livelihood, if not endangered his life. I wish I could hear any other probable reason why various prelates were so zealous for the discipline of the church, and so negligent of its doctrine, except that the one was reformed by the word of God, and the other remained as we found it in the times of Popery. Fourthly, I have purposely not undertaken to answer any of their arguments, referring that labor to a further design, clearing our doctrine of reprobation, and of the administration of God's providence towards the reprobates – his providence over all their actions – from those calumnious aspersions they cast upon it. But concerning this, I fear the discouragements of these woeful days will leave me nothing but a desire that so necessary a work may find a more able pen [than my own]. JOHN OWEN. CHAPTER 1. 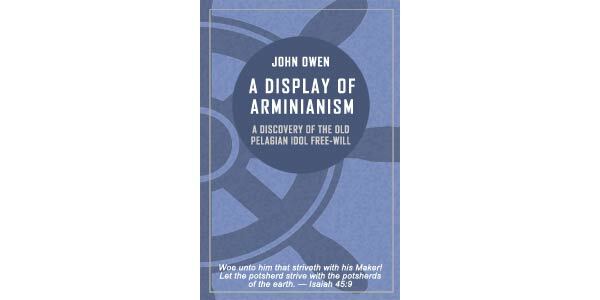 ON THE TWO MAIN ENDS AIMED AT BY THE ARMINIANS, BY THEIR INNOVATIONS IN THE RECEIVED DOCTRINE OF THE REFORMED CHURCHES. CHAPTER 2. ON THE ETERNITY AND IMMUTABILITY OF THE DECREES OF ALMIGHTY GOD, DENIED AND OVERTHROWN BY THE ARMINIANS. CHAPTER 3. OF THE PRESCIENCE OR FOREKNOWLEDGE OF GOD, AND HOW IT IS QUESTIONED AND OVERTHROWN BY THE ARMINIANS. CHAPTER 4. OF THE PROVIDENCE OF GOD IN GOVERNING THE WORLD DIVERSELY, THRUST FROM THIS PRE-EMINENCE BY THE ARMINIAN IDOL OF FREE-WILL. CHAPTER 5. WHETHER THE WILL AND PURPOSE OF GOD MAY BE RESISTED, AND HE BE FRUSTRATE OF HIS INTENTIONS. CHAPTER 6. HOW THE WHOLE DOCTRINE OF PREDESTINATION IS CORRUPTED BY THE ARMINIANS. CHAPTER 7. OF ORIGINAL SIN AND THE CORRUPTION OF NATURE. CHAPTER 8. OF THE STATE OF ADAM BEFORE THE FALL, OR OF ORIGINAL RIGHTEOUSNESS. CHAPTER 9. OF THE DEATH OF CHRIST, AND OF THE EFFICACY OF HIS MERITS. CHAPTER 10. OF THE CAUSE OF FAITH, GRACE, AND RIGHTEOUSNESS. CHAPTER 11. WHETHER SALVATION MAY BE ATTAINED WITHOUT THE KNOWLEDGE OF, OR FAITH IN, CHRIST JESUS. CHAPTER 12. OF FREE-WILL, THE NATURE AND POWER THEREOF. CHAPTER 13. OF THE POWER OF FREE-WILL IN PREPARING US FOR OUR CONVERSION UNTO GOD. CHAPTER 14. OF OUR CONVERSION TO GOD.